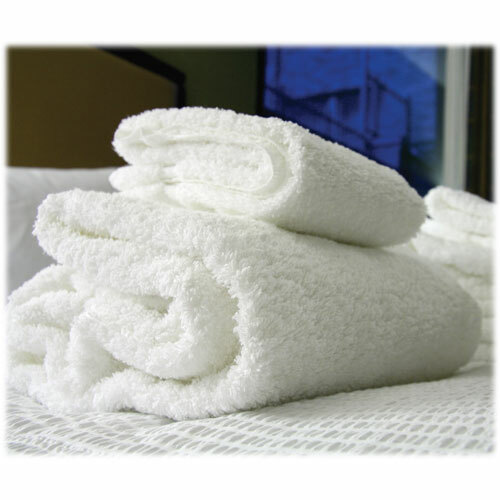 Need economical hotel towels at an affordable rate? 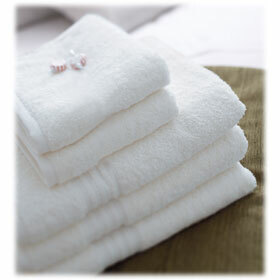 Blue River towels are an upgraded sister product of Bayfield towels, with an added blend of 86% cotton, 14% polyester. 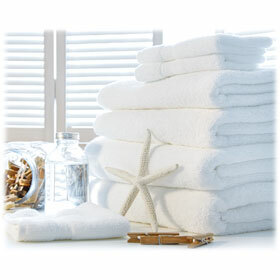 The extra polyester within the towels allows Blue River to withstand repeated use and laundering. 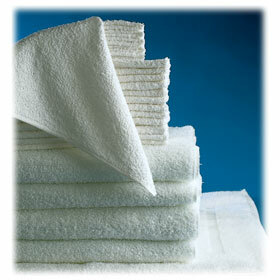 Blue River towels are available in washcloths, hand towels, bath towels, and bath mats. To save on shipping costs, the towels arrive compressed. Simply wash to fluff. Blue River is the right choice if you're thinking about longevity!